Orange paired with many bright colors, this colorful video loop lightens up the ambience instantly. A colorful video animation to use in your VJ shows! 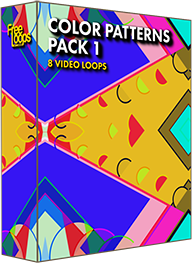 This video loop is part of Color Patterns Pack 1.